The freelance life can be pretty sweet. You can work in comfortable clothes, watch an episode of your favorite sitcom between tasks or take two hours off in the middle of the day to run an errand. You are no longer bound by the 9 to 5 schedule and there’s no boss to dictate how you should organize your day. But you know what they say: with great power comes great responsibility. Bad time management can lead to missed deadlines or burnout. Work too much and your work/life balance will suffer; work too little and there’s a good chance you won’t make rent next month. That’s exactly why improving your time management skills and cultivating discipline should be job number one for anyone looking to embrace the freelance lifestyle and go into business for themselves. Personally, I’ve been struggling to build a productive routine ever since I started freelancing full-time, more than a year ago. I wasn’t expecting to have this much trouble with time management, especially since I wasn’t required to spend eight hours at the office anymore. I had fantasies about meditating in the morning, reading for hours in the evening, catching up with friends during slow days. I still have those fantasies; reality, however, looks nothing like that. Time flies when a looming deadline is giving you trouble. The fact that I’m not a morning person and I’m easily distracted didn’t help either. I still find myself struggling to meet deadlines every now and then, but I’ve finally managed to come up with a few tricks that helped me boost my productivity and keep my schedule under control. And I’m more than willing to share. When you used to go into the office you had about an hour, maybe even more to ease into the workday. Allow yourself the same luxury when living the freelance life. It can be tempting to tell yourself you will work whenever you feel like it and see how it goes, but that’s not always the best approach. 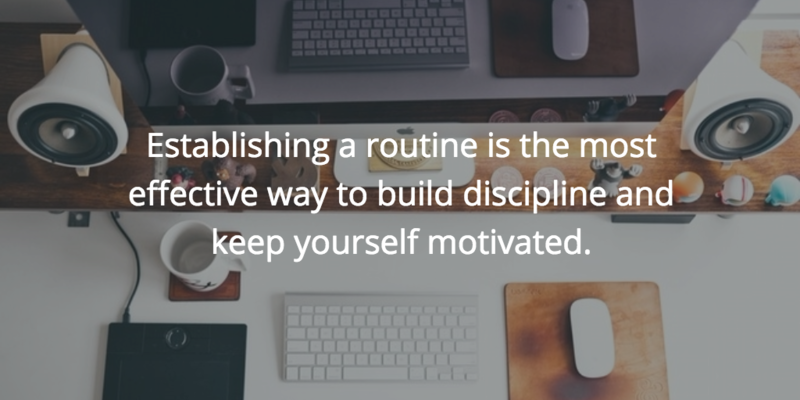 Establishing a routine is the most effective way to build discipline and keep yourself motivated. Have breakfast, enjoy your coffee, wash your teeth, comb your hair, change your outfit. Ease into the work day instead of allowing it to sneak up on you. However, when it comes to experimenting with working routines, it’s always best to listen to your inner clock. Not all freelancers are morning persons, so you should cut yourself some slack if you’re not. When you’re the type of person who likes to work deep into the night, use the morning to run errands, catch up on email, or sleep. It’s best to tackle your most important tasks when you’re at your most productive. Whichever way you choose to go, setting clear work hours is the first step towards establishing a healthy work/life balance. Not knowing where your next paycheck will come from can determine you to take on more work than necessarily. Trust me, I’ve been there. When you panic, you can end saying yes to every project that comes your way. And that will likely leave you tired, stressed, and unproductive. Your workload should challenge you and be heavy enough to allow you to cover your living expenses and then some, but don’t go over the top. When you have to work for 12 hours straight to meet your deadlines you’re doing something wrong. 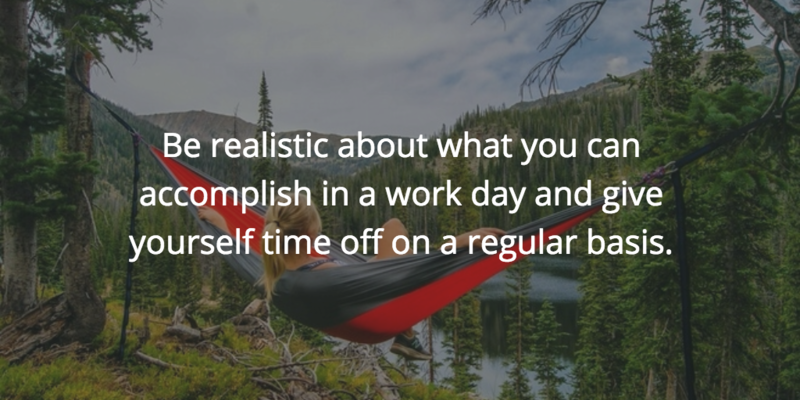 Be realistic about what you can accomplish in a work day and give yourself time off on a regular basis. Remember, you’re your own boss now. Don’t act like a tyrant. 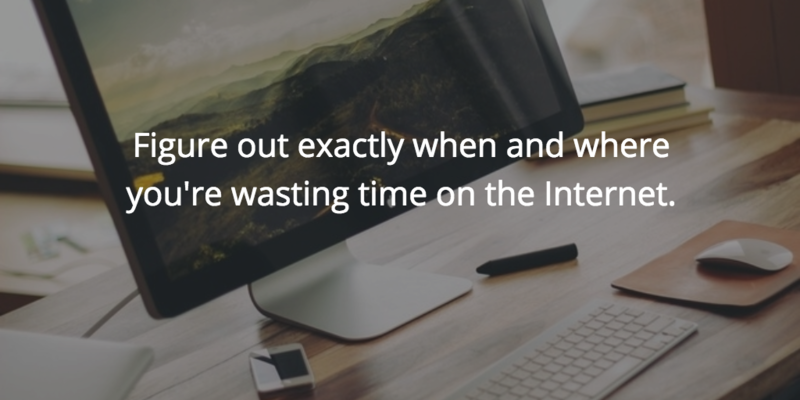 As a freelancer, your most precious commodity is time, so it’s important to know how you spend it. Personally, I religiously track my hours when working on projects and use Rescue Time to figure out exactly when and where I’m wasting time on the Internet. 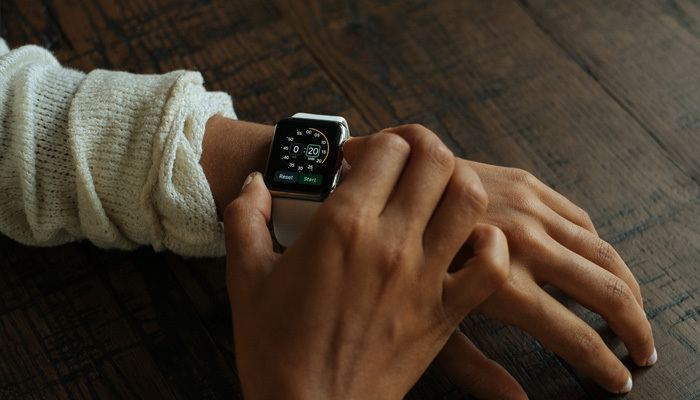 You’d be surprised (or appalled) to find out exactly how many hours in the day you spend on social networks, but this information can give you the boost you need to make some changes in your routine. Working hard is important, but relaxing every once in a while is just as crucial if you’re looking to keep your productivity levels up. Take breaks – shorter or longer ones, depending on your work style. At least 10 minutes every hour and a half should be mandatory if you want to keep your sanity in the long run. Give your brain a chance to unwind and recharge for what’s about to come. Grab a snack, phone a friend, browse Facebook for a couple of minutes. I use the Pomodoro technique to stay on track. I work for 25 minutes straight, then take a 5-minute break. Every couple of hours, I allow myself to unwind for 20-30 minutes. It’s done wonders for me and I highly recommend it. Working from home is great, sure, but it’s also challenging. With Netflix a few clicks away, the fridge in walking distance, and no one looking over your shoulder, distractions can escalate from welcome intrusions to annoying productivity killers. Take precautions so no one will interrupt you during working hours. Set you phone on silent, stay off social media, use headphones to block out annoying sounds. You can even use software, like Cold Turkey, to block distracting websites. If you live with loved ones or roommates, kindly explain they shouldn’t barge in when you focus on your work. Tell them you’re more than happy to socialize during play time. Being disorganized causes you to waste time on menial activities like searching for documents you haven’t named properly or frantically looking for notes. I use Evernote to keep all my ideas and drafts in one place, Google Drive to back up my work, and detailed spreadsheets to monitor my budget and expenses. Keeping your to-do list up-to-date is also recommended; luckily, there are plenty of effective apps to help with that. I also like Trello for project management and Buffer for social media scheduling. Juggling multiple projects at once can be tricky. It may take you a while to find your rhythm, but things will go much smoothly when you do. Consider the tips above and start building a routine that works best for you. Your productivity will go through the roof in no time.